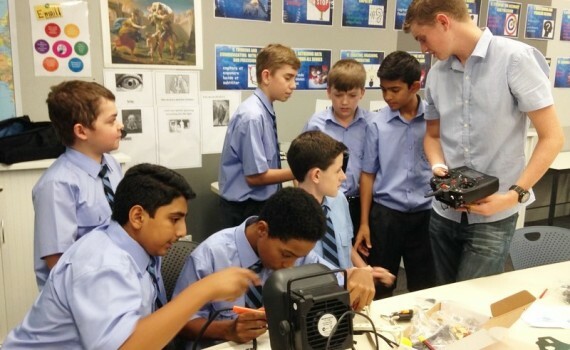 This term we are in the process of setting up one of our Senior Library classrooms to act as a makerspace/ tutorial/ workshop room where the boys can casually work on tinkering and creating or they can attend (and run) workshops focusing on different computer programs. 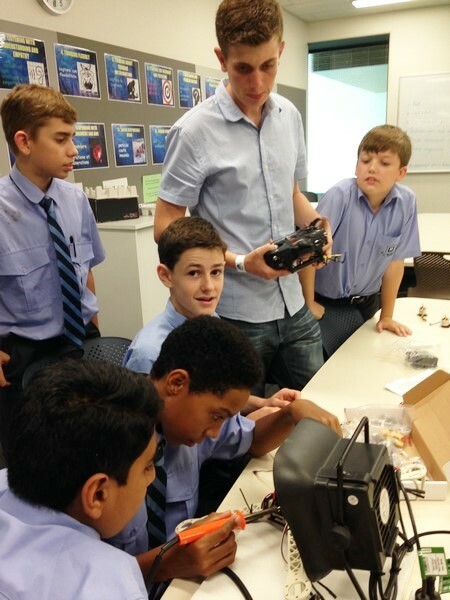 To start the year, one of our past students is coming in each week to help the ‘Quadcopter Construction Crew’ build a quadcopter/drone, copying one that he built for himself last year. 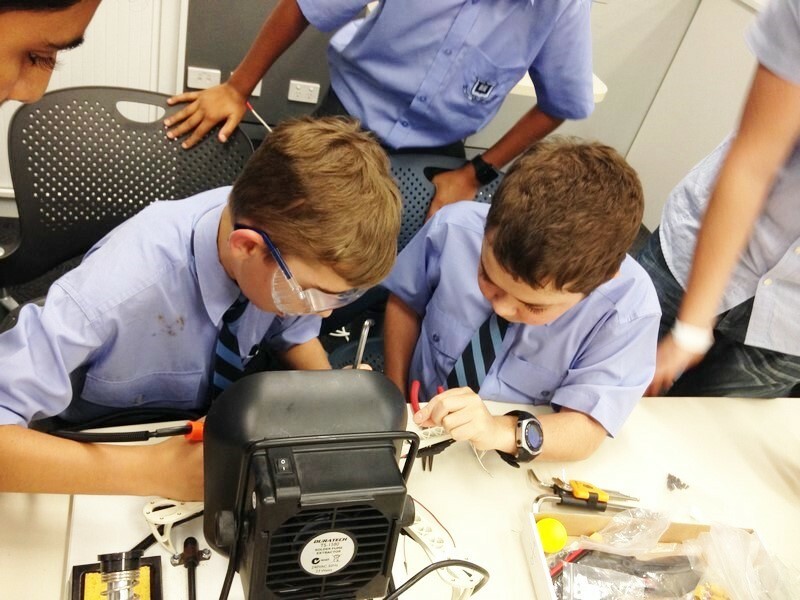 The boys have been very excited about the project and keen to learn, busy soldering and joining wires to the frame. 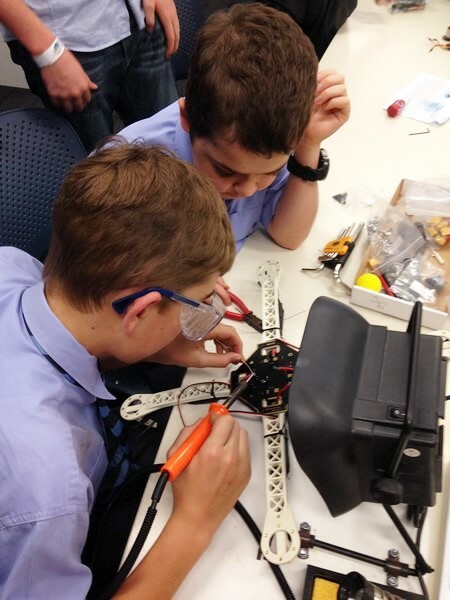 Once they have finished making the quadcopter, the Aviation Club will then take over teaching them how to fly it, following some fairly strict guidelines set by the School and the Aviation Authority, however this has not dampened their enthusiasm! 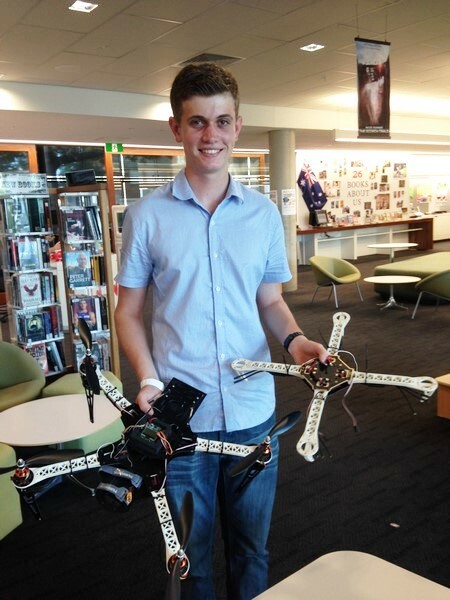 Once they attach a camera to the quadcopter, the Marketing Department will then be able to use it to capture marketing videos and images for the School, making it a real-life project that will have more value than just entertainment.